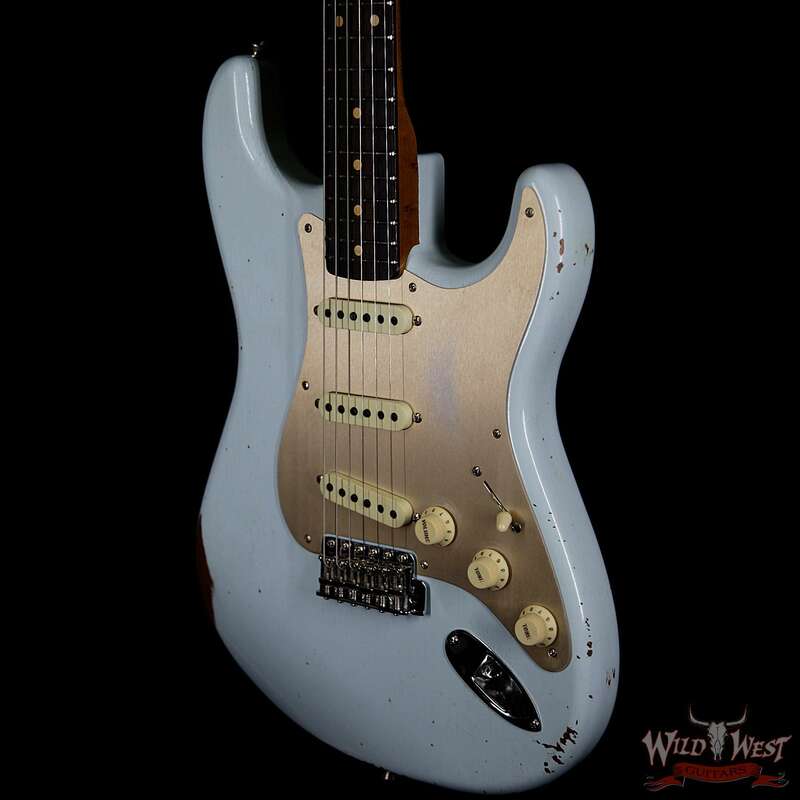 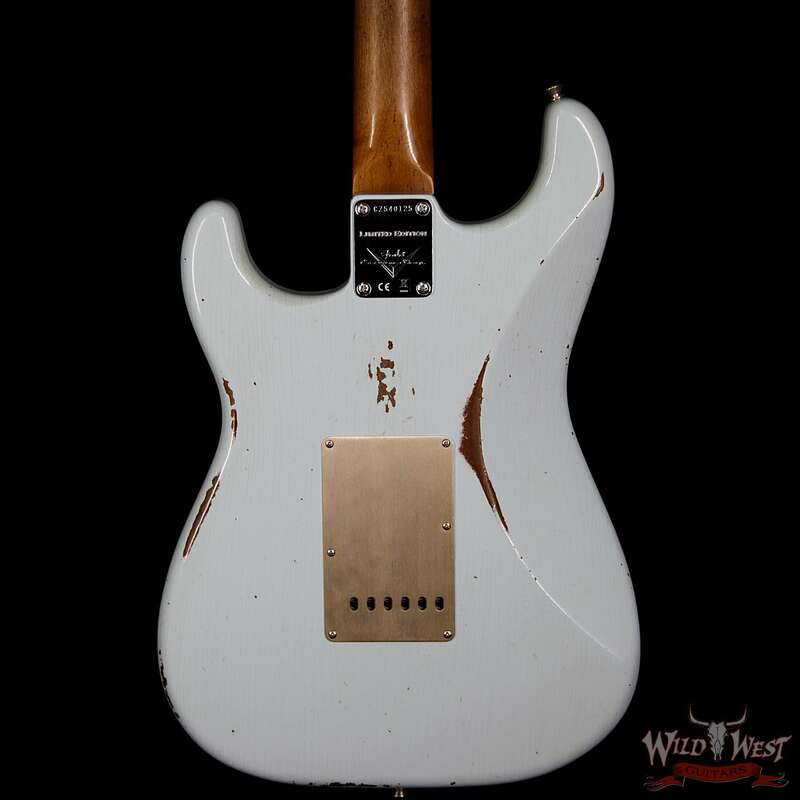 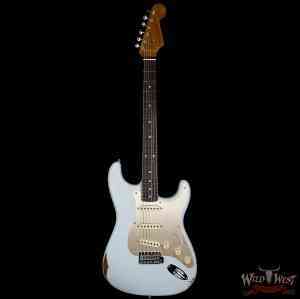 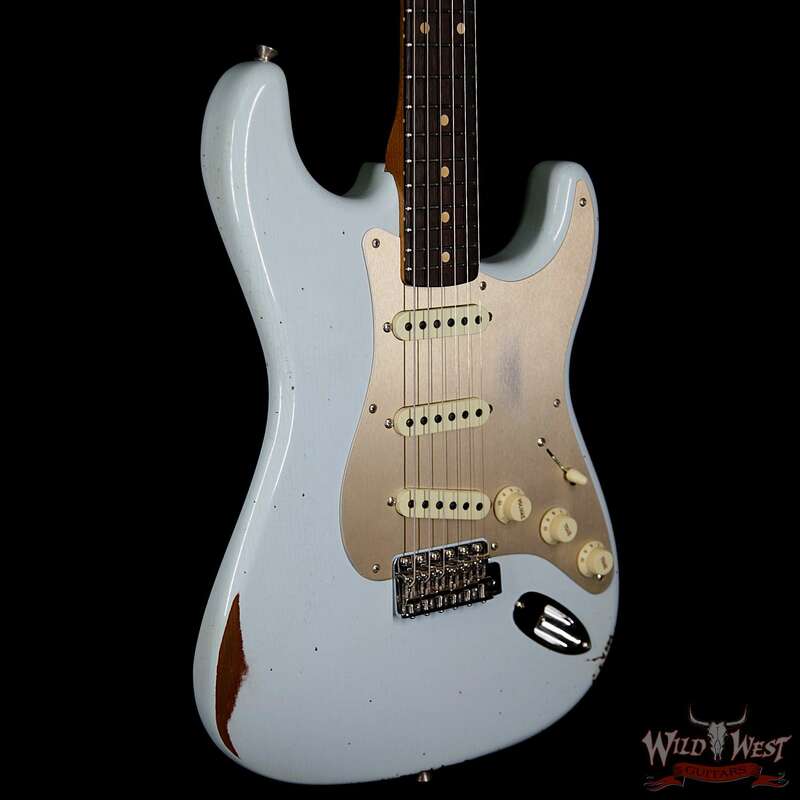 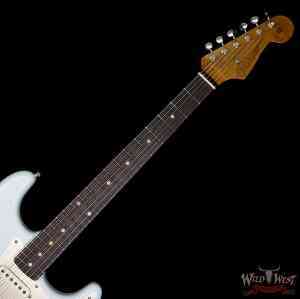 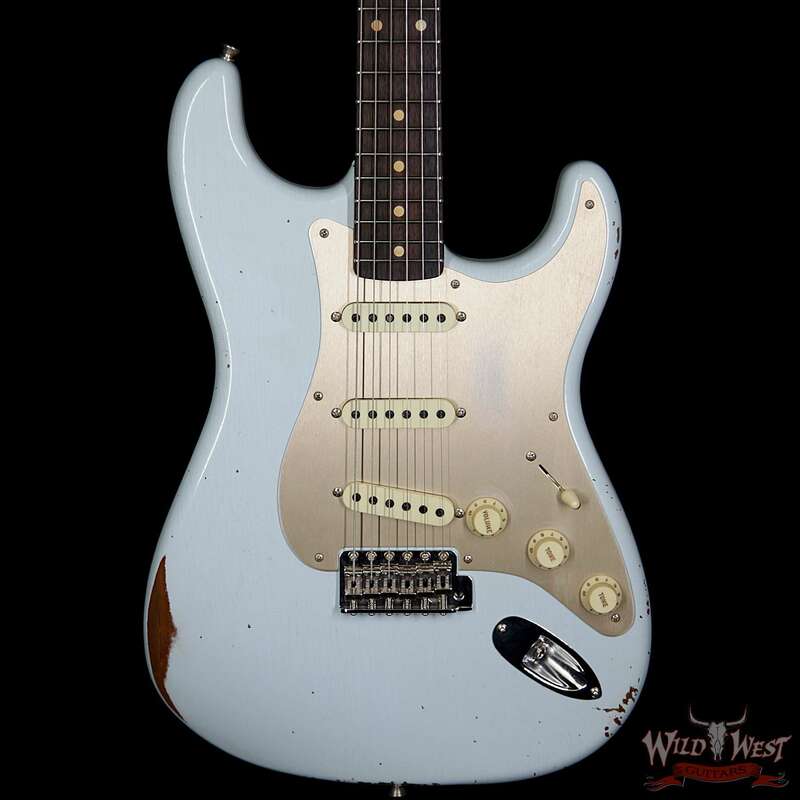 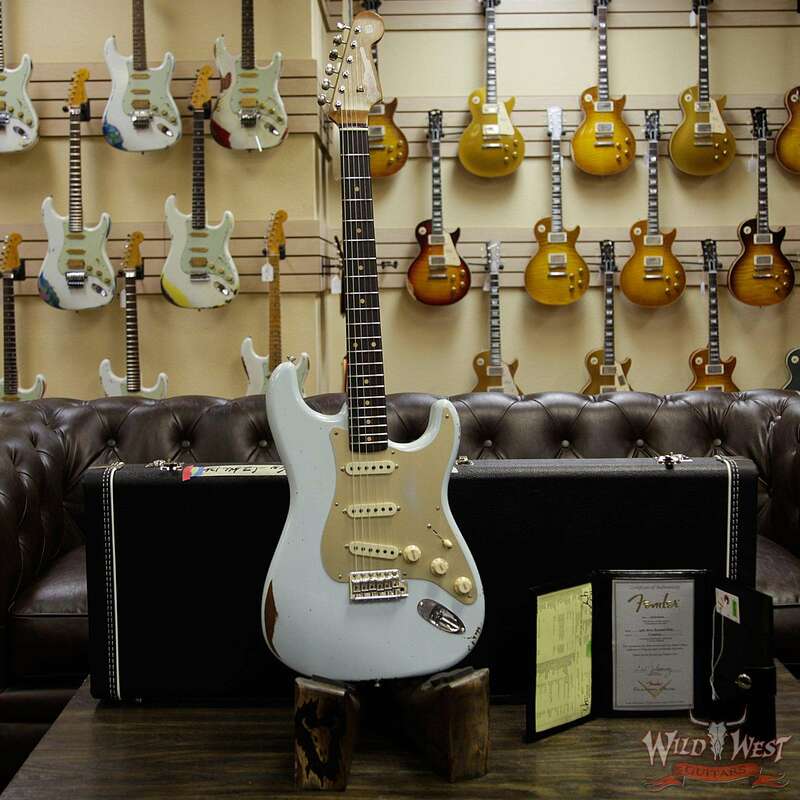 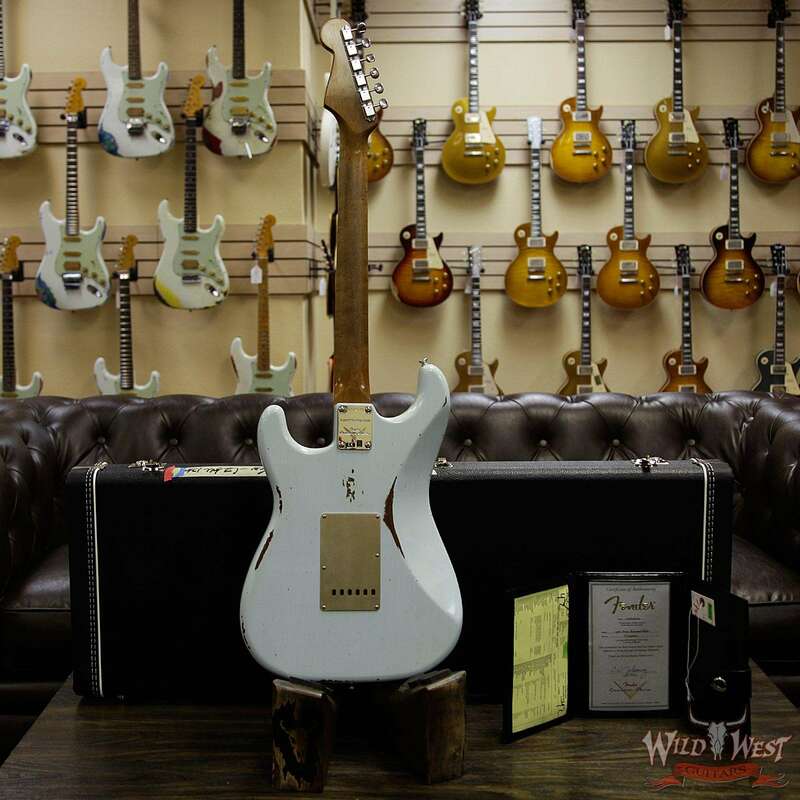 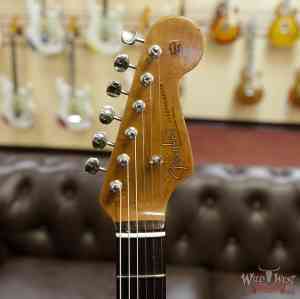 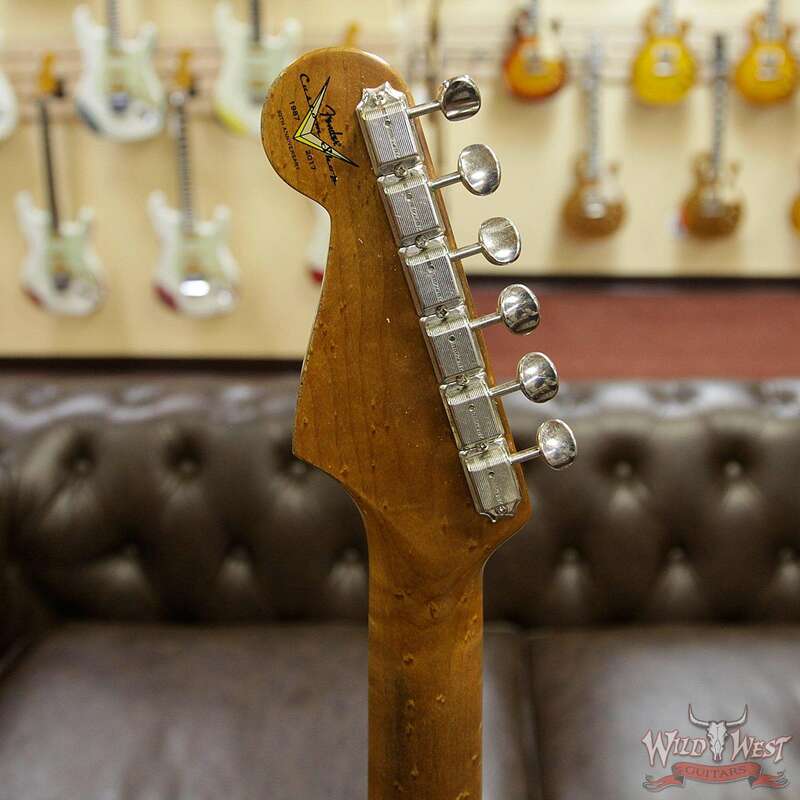 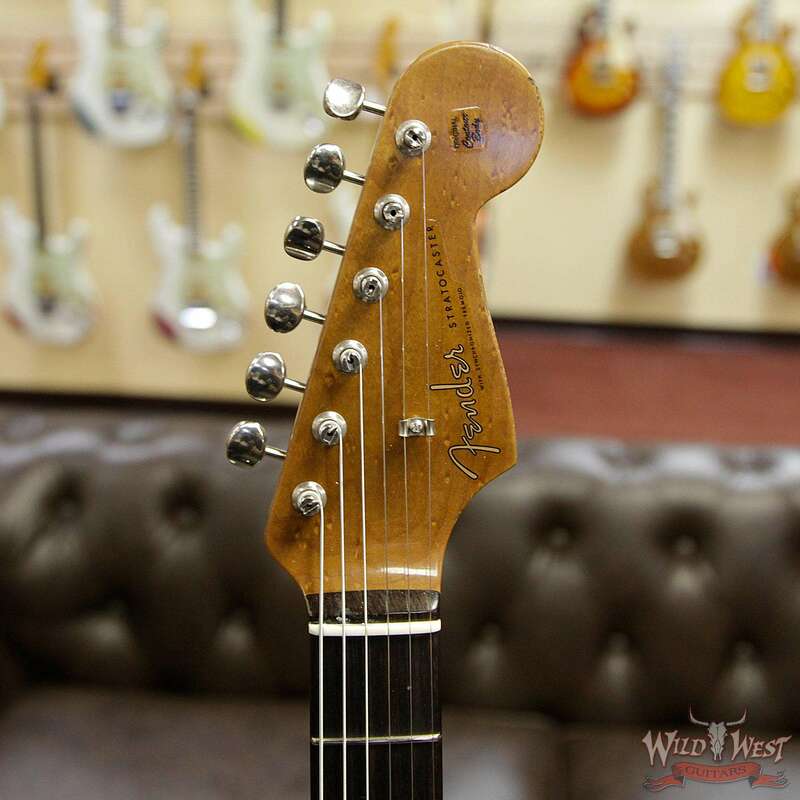 The Fender Custom Shop 1960 Stratocaster Relic Electric Guitar features an alder body with lacquer finish, maple neck, rosewood fingerboard, 9.5” radius, 6105 frets, 1960 Stratocaster pickups with 5-way switching, custom pickguard and relic vintage hardware. 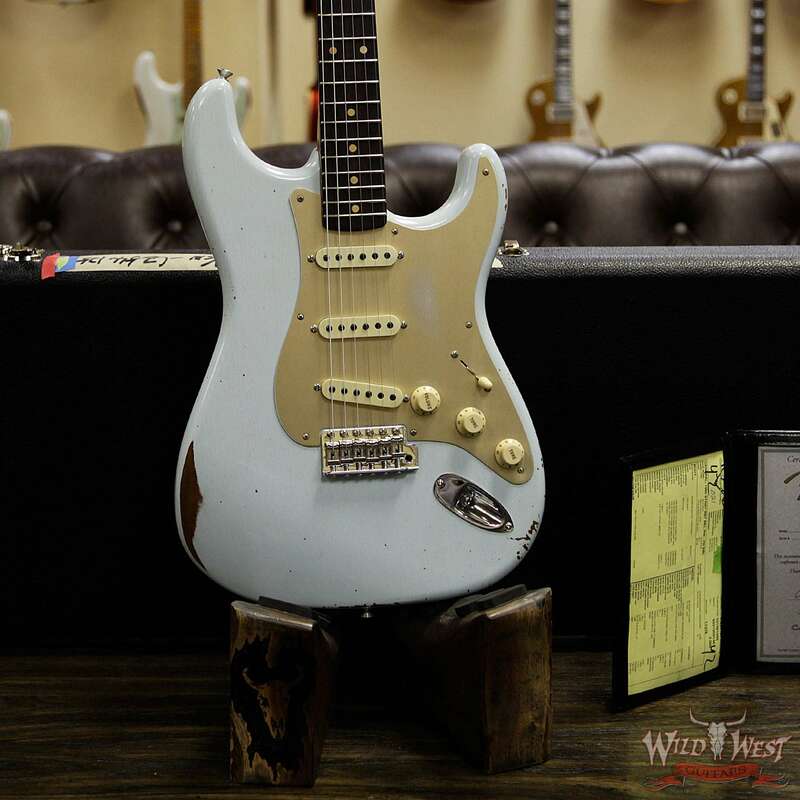 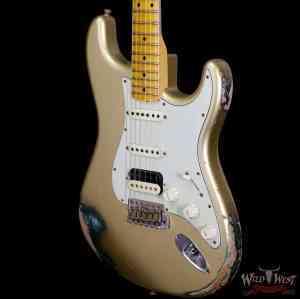 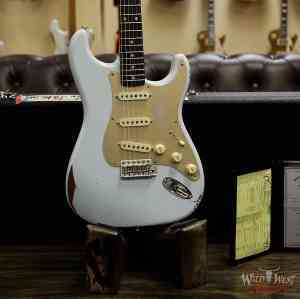 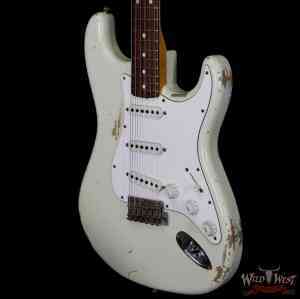 This detailed Custom Shop reproduction of a 1960 Strat was built utilizing original tooling and production techniques of the era. 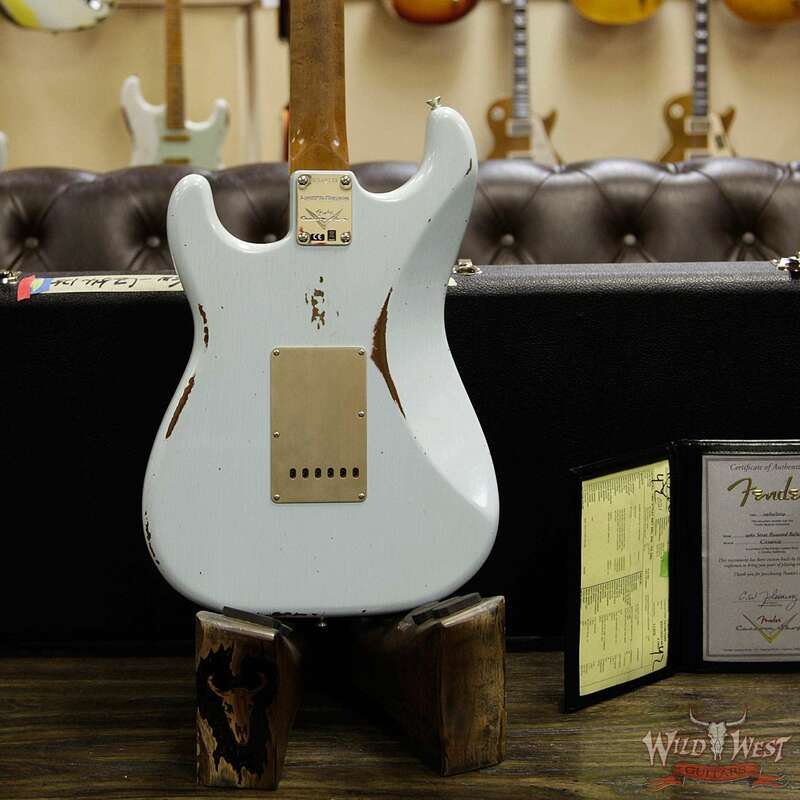 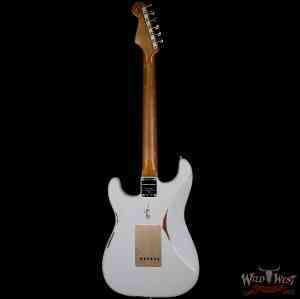 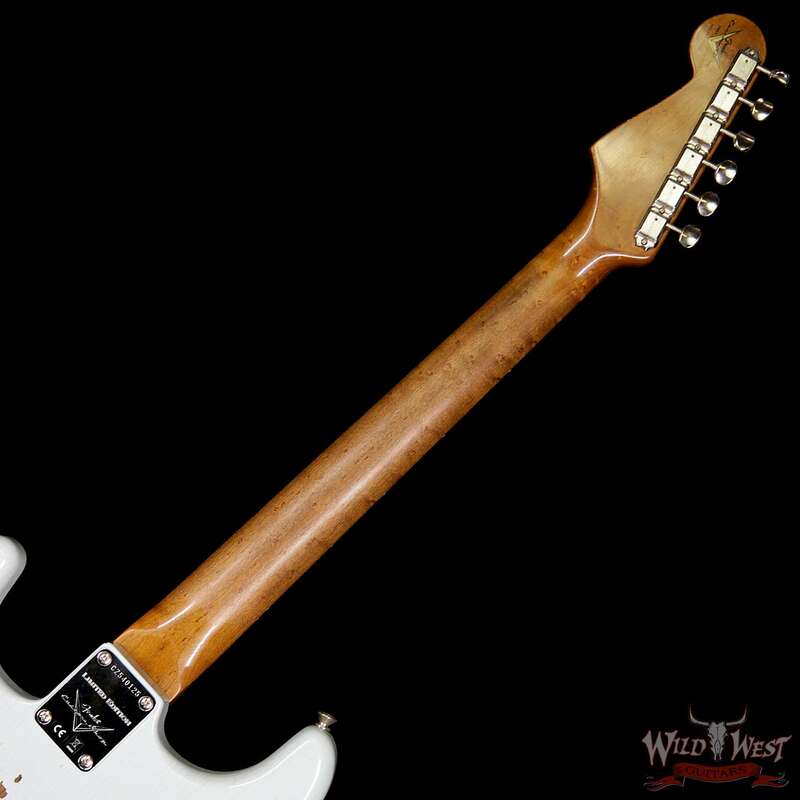 And its Relic finish treatment gives it the look of a well-traveled and heavily played axe, although it is absolutely new in setup and playability. 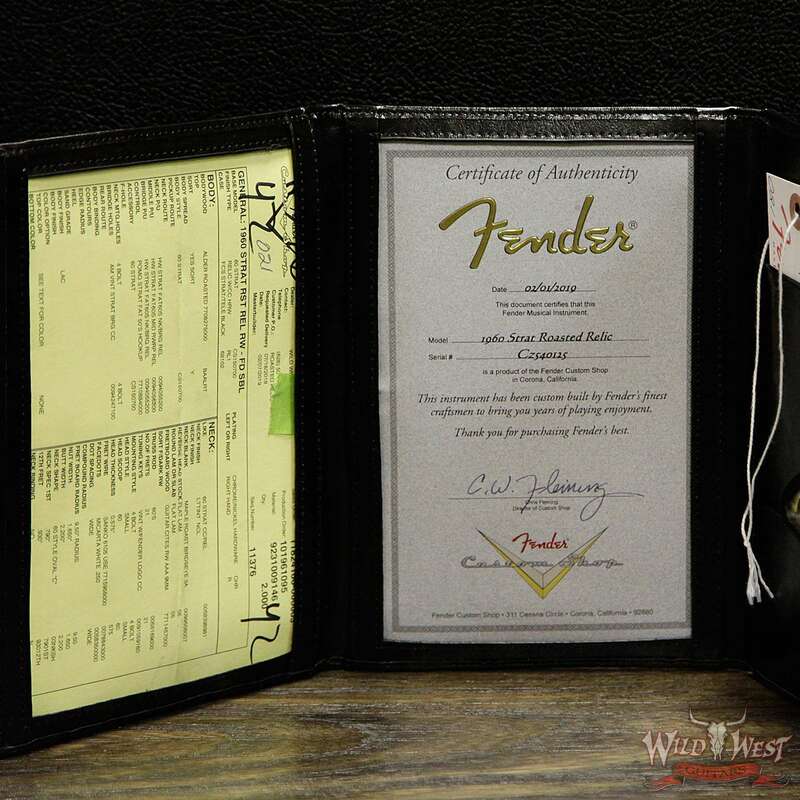 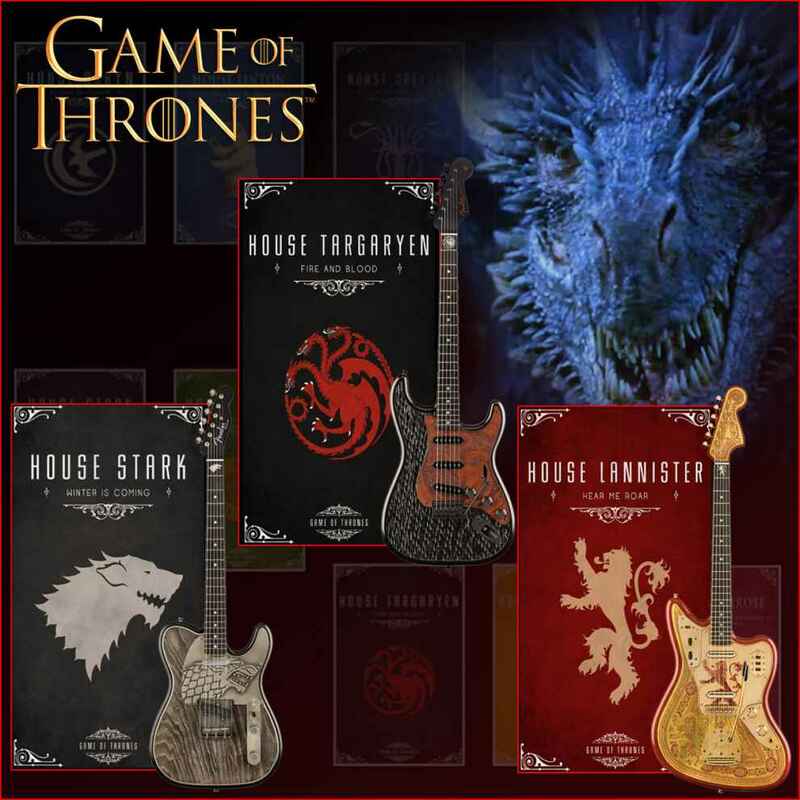 Includes deluxe hardshell black case.